like exploring things, writing down results, collect it and improve experience. uploaded it for the community. items which are not that common like pelts or mountain flowers. 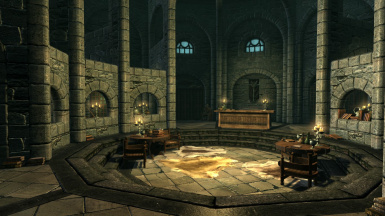 conjuration, destruction, illusion, restoration or enchanting. 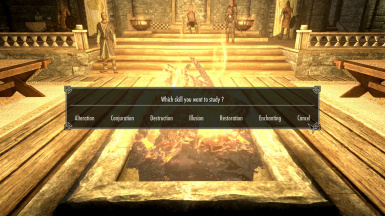 If you read the book you will get the choice of the skill. The book will be destroyed after usage. First of all you need to learn how to research magic (and to craft the books). 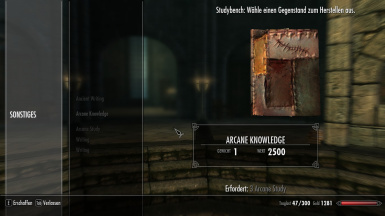 There is a book at that location which will teach you the lesser power "Arcane Study". With this power you can open the crafting menu. At start you will only be able to craft "Writing" which give you one skill point. When your experience grows you're able to craft better books. This is the base item, you don't need any perks for this. On reading you will gain 1 point in one of the mentioned skills. To be able to craft this you need one of the apprentice perks or the equivalent enchanting perk. On reading you will gain 4 points in one of the mentioned skills. To be able to craft this you need one of the adept perks or the equivalent enchanting perk. On reading you will gain 10 points in one of the mentioned skills. 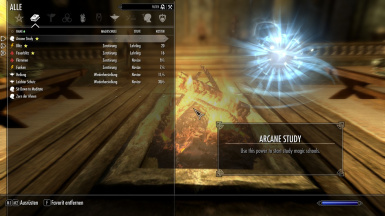 To be able to craft this you need one of the expert perks or the equivalent enchanting perk. On reading you will gain 30 points in one of the mentioned skills. 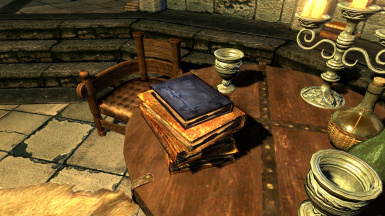 The book to learn the crafting power is located in the arcaneum, left table on the top of the other books.